Chevrolet Camaro ZL1 1LE Gunning for Nurburgring Lap Record? Yesterday, we brought you video of the 2018 Chevrolet Corvette ZR1 testing at the Nurburgring. Today, they had the Camaro ZL1 1LE out on the Green Hell. 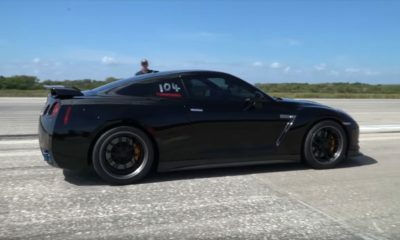 The prototype was seen barreling down the legendary race track showing off its new bodykit. The Camaro ZL1 1LE will be the fastest, most track-focused version of the muscle car. The ZL1 uses a 650 hp V8 from the Corvette and the 1LE trim adds an aerodynamic kit comprising of an aggressive front splitter, canards, wider tires and a massive rear wing.